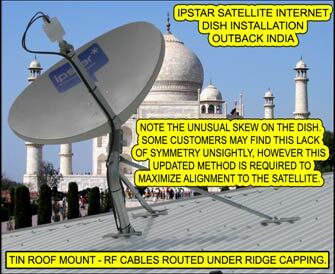 Satellite Internet Services - Pinktronix Terrestrial & Satellite Television Installation Services. If internet is new to you or you are unfamiliar with the requirements of the Australian Broadband Guarantee PinkTronix can be of service to you. 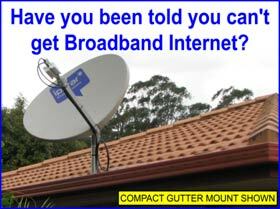 If you are unable to get reliable wireless or ADSL broadband you will almost certainly be eligible for an ABG subsidised satellite service. 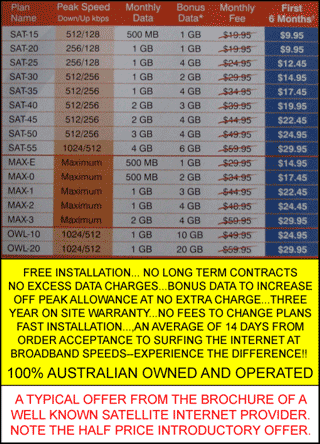 No matter where you live in Australia, you can now enjoy fast, affordable Satellite Broadband. Browsing is faster and more enjoyable than with dial-up Internet. You can download files up to 80 times faster, and you don't need to use your phone line. You're always connected so you never have to put up with missed phone calls. Because you don't need to make a phone call to connect, Satellite Broadband can be as affordable as dial-up Internet. Introductory half price plans generally start at just $9.95 per month for the first 6 months for a 512/128 kbps service with 500 Megabytes of Monthly Data plus 1 GB of Bonus Data. Most plans offer a “bandwidth cap / continue at twice dial up” service, whereby if you exceed your data allowance, your peak speed is slowed to 64/64 kbps until the start of your next month. Slow for serious downloading, no doubt, but you don’t have any billing surprises at the end of the month and you can still read your emails without having to reschedule your day. You are never charged for excess data under these plans and if you want to top up you can do so for a very reasonable cost. Under the ABG, installation and setup is fully covered for eligible customers, with all necessary hardware and the actual installation provided free of charge. Please note that the Internet Service Provider’s mandate under the ABG is to offer connection to a single computer only. Any additional service such as router installation or Voice over Internet Protocol, (VOIP) is considered an extra under the A.B.G. scheme. If a service call is required it is the technician’s responsibility to restore service to the main computer only. All third party devices and services are the responsibility of the individual provider. Time to response for service calls is not spelt out in precise terms but it is in the best interest of the provider to offer the best practicable service. So, where is Satellite Broadband in the overall scheme of things? Given the multitude of choices coming on to the market the truth of the matter is that satellite broadband stacks up as second last with dial up being the least preferred. If you could get cable you would not even think about satellite internet. 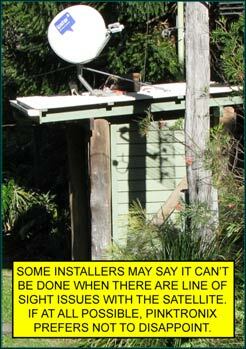 If you could get DSL you would not even think about satellite internet. 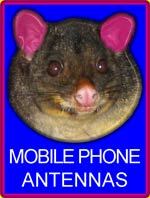 If you could get reception from the 3G/NextG wireless platform you would not even think about satellite internet. If you lived long enough to see the NBN roll past your house you would not even think about satellite internet. But, if your address is: P.O. 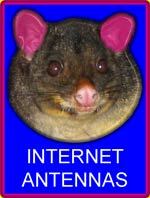 Box 0429 834809 Kickatinalong, Outback Aussie, or c/- the Wheelabarrowback Hotel, Sunshine Coast Hinterland then you are just going to love satellite internet. Although satellite internet may be second last when you are presented with a full suite of choices it is not second last for availability. You can get a satellite service anywhere. Unless you are obsessed with downloading the latest movie or you have a graphic arts business, Satellite Internet is economical as well. A touch slow perhaps, on the cheaper plans, but way ahead of dial up and perfectly okay for business purposes that don’t require high volume graphic or picture downloads. If all you want to do is open emails and send the occasional photo of the grand kids the cheapest plan is all you need. A Few Words about Internet Speed. Internet speed is determined by a several different factors and there are bottlenecks common to all providers and others which are provider specific. Some bottlenecks are computer specific. All users will experience bottlenecks from high contention ratios at specific sites. If you are downloading from a popular site which has insufficient hardware resources to handle the peak hour rush, you will experience a bottleneck regardless of your Internet Service Provider. One unavoidable bottleneck with satellite internet is the latency associated with the requirement to communicate with a transponder that is in orbit 30 odd thousand kilometers away from your household dish. The speed of light dictates that this delay will be around a second and pretty much makes modern high graphics gaming impossible on satellite internet. The thing to remember though is that a second is nothing if we are talking about sending an email or downloading a piccy and that you should not always point the finger at the satellite if speed presents as an issue. If you have third party anti-virus, anti-spyware, packet analysis, firewall, or other security or network-related software on your computer this may be hindering your internet performance. Before you start blaming the satellite you should run the speed test recommended by your provider. Alternately, a photo download may serve as a more simple test as a confidence check on equipment. Go to a reliable site with a high resolution photo, (say, more than 5 megabytes), and save it to favourites as your download speed test site. Click here to download this picture of an armadillo and note the time it takes to display. It is a 4.4MB image from Wikimedia. A 4.4 Megabyte photo should take around 90 seconds to fill the frame at the 512/256 plan speed (which should download at about 50KB per second). Remember, in order to discount latency and other bottlenecks, don’t judge the internet speed until the actual download starts to build the picture from top to bottom. Not the most techno of tests perhaps, but a handy and practical indicator that most users will relate to. A satellite internet installation is not much different to a pay TV service except that the communication must go two ways. As a result things are a little more complicated and require a greater degree of accuracy in dish aiming. The service is in fact referred to by the acronym, VSAT for Very Small Aperture Terminal, the name itself suggesting precision and reliability in dish mounting. The satellite cables are terminated in a wall plate near your computer and than connected by fly leads to a satellite specific modem. The modem can be connected directly to your computer or to a router to give the user greater flexibility. A straight forward installation will be completed in less than four hours. PinkTronix is a qualified satellite internet installer and is in communication with a leading internet provider. 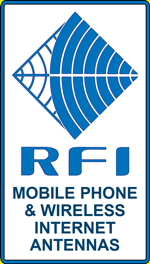 Avoid the answering machine run around and the expense of purchasing wireless systems simply to verify ABG qualification. Set up your Satellite Internet Service with PinkTronix for quality workmanship and personalized service at no extra charge. 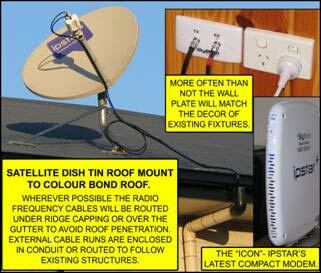 After determining your eligibility for the Australian Broadband Guarantee PinkTronix can arrange for a satellite installation. Experience the speed and convenience of Satellite Broadband with the confidence of knowing that you are not locked into long term contracts. You may cancel with just 30 days notice in writing if you are not completely satisfied. Before making a decision about your internet service, customers are encouraged to learn as much as possible from the authorised government websites.